Brownlow is widely regarded as the preeminent historian of the silent film era as well as a preservationist. Among his many silent film restoration projects are Abel Gance’s 1927 epic “Napoleon,” Rex Ingram’s “The Four Horsemen of the Apocalypse” (1921) and “The Thief of Bagdad” (1924), starring Douglas Fairbanks. Brownlow has authored, among others, The Parade’s Gone By; The War, the West, and the Wilderness; Hollywood: The Pioneers; Behind the Mask of Innocence; David Lean; and Mary Pickford Rediscovered. His documentaries include “Hollywood,” “Unknown Chaplin,” “Buster Keaton: A Hard Act to Follow,” “Harold Lloyd: The Third Genius” and “D.W. Griffith: Father of Film,” all with David Gill; Brownlow also directed “Cecil B. DeMille: American Epic” and “Garbo,” the latter with Christopher Bird. Never was an Academy Award more richly deserved, nor – so far as I know – has such an award ever gone to a film historian [correction – he’s the third – see comments]. Brownlow is far more than a historian, of course, being a filmmaker, film preservationist and programme maker, but it is his principled and dedicated investigation into silent film history (out of which has come preservation, exhibition, writing and programmes) that stands out. He made silent films special once again. By happy chance I met Kevin today, being warmly congratulated by all. I asked if I could take a photo of him for the Bioscope – he said I could take the photo, but not publish it online (there have been too many photos, he said), so I have acceded to this request and instead have published a quick snap made of the wineglass he was holding. Cheers to you Kevin. The event we were both at was a retirement party for Roger Smither, held at the Imperial War Museum in London. Now while Kevin Brownlow is famed among all who revere silent films, Roger will only be known by a few, but his contribution to film history and film culture has been no less important. He retires as Keeper of the IWM’s Film and Video Archive, arguably the world’s oldest film archive (it was founded in 1919), and has presided over the British official film record of the First and Second World Wars, including hundreds of classic titles, and for the First World War a marvellously rich collection of silent film material documenting evey aspect of the war, including the home front experience. He was instrumental in the restoration of The Battle of the Somme (1916) and its inscription on the UNESCO Memory of the World register. He has written knowledgeably on the Somme and other war films in many publications, and he edited the weighty classic This Film is Dangerous, a history of nitrate film, published by FIAF – a body of which he was Secretary-General for some years. He has been an exceptional servant to film archives and the Bioscope warmly wishes him a happy retirement. And then I left the party to go and see another filmed inscribed on the UNESCO Memory of the World, Metropolis – specifically the 2010 restored version receiving its UK premiere at the BFI Southbank. It’s interesting speaking to some film archivists to pick up on a bit of a backlash against the Metropolis restoration, which is perhaps a reaction to all the hype. Some are saying that the 16mm inserts don’t add anything, that the film was better the way that it was, and that the whole business is being oversold. Well, seeing the film at last for myself I was hugely impressed by the restoration. It seemed to me to be a model presentation of the material, with the 16mm material clearly of a substandard quality but giving a special thrill to the audience whever it turned up, as you picked up on what had been cut and why, so that you ended up with the sense of watching two films – the one we’ve known before, and the one we have now. It was an engrossing lesson in film restoration and the mutability of cultural artefacts. The film itself I have never much loved, aside from the exceptional robot transformation sequence, and it seems even more ridiculous than ever. The additional sequences make the filmmakers’ intentions clearer, but they also expose what a muddled plot the film has (and why the cuts were made in the first place). It is muddled not only in narrative, but in conception, dramatic motive, politics and morals. It is a stupendous folly, packed full of glorious, iconic images, but without a single credible idea to hold them together. I don’t know if the comparison has been made before, but I kept on thinking of Cabiria (1914). 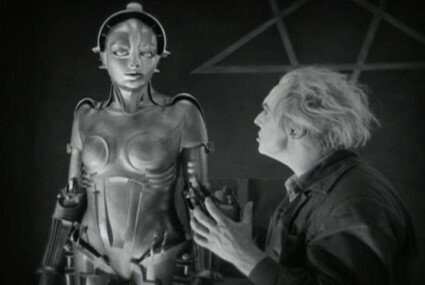 It wasn’t just that both films have Moloch scenes, or the histronics of Metropolis that hark back to an earlier age (the film critic Geoff Brown once memorably said of Alfred Abel’s performance that he played someone who, if you asked him what the time was, would mime the operations of a sundial). Metropolis and Cabiria were each epic European productions of the kind that (in the immortal words of Sam Goldwyn) starts out with an earthquake and works its way up to a climax, with buildings tumbling down and flood waters threatening to drown all. The humans are mere ciphers; chaos is all. 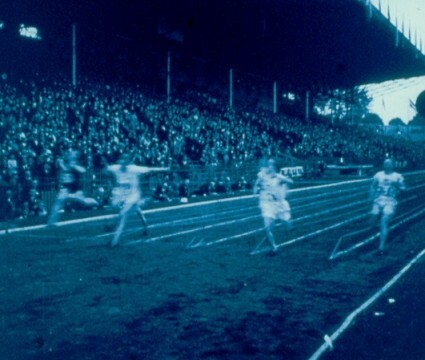 The spectacle was designed to overawe audiences and to outdo what could be done on the American screen. In a way, Metropolis was a very old-fashioned sort of film for 1927. Mad folly it may be, but it’s a film that has to be seen, and then argued over. There are ample opportunities to do so now that it has reached the UK – see the list of screenings provided by Eureka Entertainment. The DVD will follow shortly, but it’s a film for the cinema screen if you can. I’ve now learned Kevin isn’t the first film historian/archivist to have received an Academy Award – previous awards have been made to Kemp Niver (in 1954) and Henri Langlois (in 1974). Huge congratulations to Kevin and bestest wishes to Roger. You’d have a job finding any film historian/archivist, especially in the UK, who hasn’t benefitted from the help and good humour of these two. Long may they continue writing books, articles, catalogues etc etc — and working with silent films too, of course. I’d like to point out that “film historian” is only a part of Kevin’s contribution to cinema. His two feature films, several shorts and especially all his documentaries (Hollywood, etc.) over a forty year career would place him as one of the better British filmmakers of his era. His “How it Happened Here” is also one of the best books on the making of an indie film ever written. And Roger is definitely one of the unsung heroes of the archive world! Agreed entirely, and I do say that he is far more than just a historian, being a filmmaker, film preservationist and programme maker – and I should have added writer. I don’t think the Academy is honouring him for his filmmaking per se, but someone should. Last thursday at the BFI the newly restored movie reminde me of several movies it has influenced such as The Bride of Frankenstein, Blade Runner, and Dark City. It’s importance to later films is quite clear and all things considered I rate it one of the best films I’ve ever seen. That’s great to hear. It is undoubtedly one of the most important and influential films in cinema history. I have seen too many films and forgotten how fresh they should be, and indeed what a thrill it was when I saw Metropolis for the first time – in a double bill with Citizen Kane. Now that’s what I call film programming.